I have been getting alot of questions about how I achieve my buns so I decided visual was better and I did a video to show you guys. I usually rock a natural bun to work and casual outings. However, when I want more volume with my buns, I add a sock for more uniformed and large look. From the pictures below the two top pics almost look identical but you can tell that the sock bun is more defined. 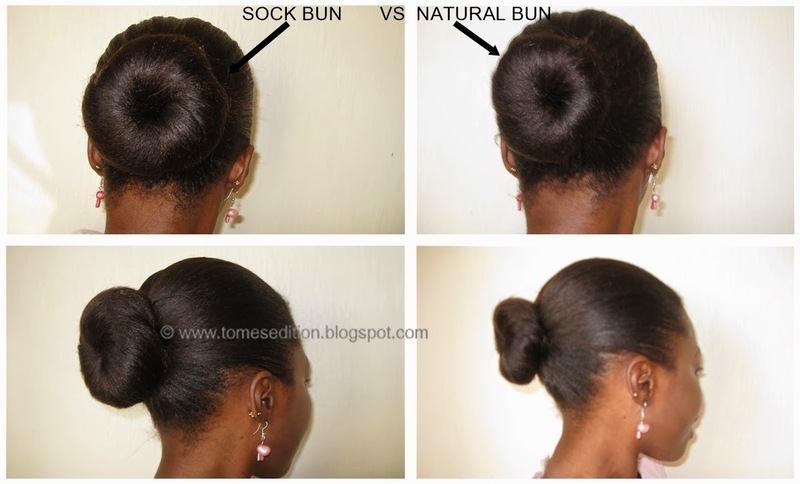 Which do you prefer to rock a Natural Bun or Sock Bun? I like to use a sock (or donut) for my buns. It's easier, more secure and I think mine looks natural. Your buns always look so sleek. Love it!